Compared to other forms of business, eCommerce is still the new kid on the block. Online shopping didn’t really take off until the spread of the consumer internet in the mid-1990s, which means even the lions of the eCommerce industry are still under 25 years old. That also means it changes rapidly, and as an eCommerce business owner or marketer, it’s important to keep up. So you read your favorite blogs (like this one! ), follow influencers on Twitter, or read the latest books. What’s left? Podcasts! Listening to podcasts is a great way to learn because they typically dig deeper into topics than articles. Whereas articles provide you with two to 10 minutes of content, podcasts can usually last for 30 minutes to an hour. Many also provide candid, and nearly unedited insight from experts—there’s much less filter on the information, which means you often get unique perspectives. Plus you can consume podcasts during times you ordinarily can’t sit down to read an article, like when you’re driving, exercising, cooking, or doing chores around the house. 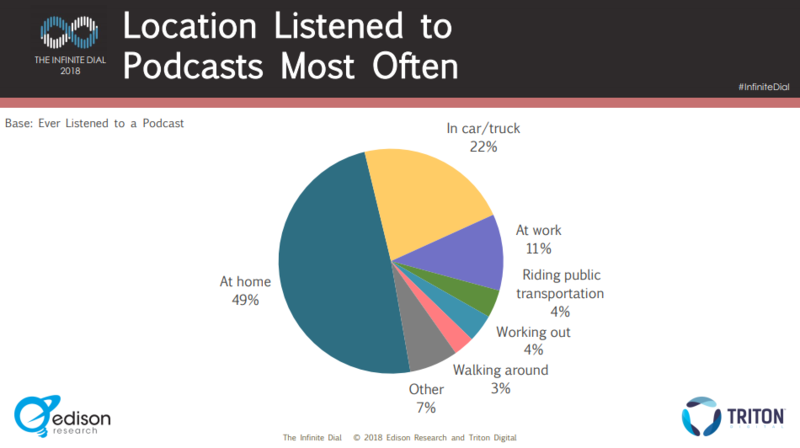 According to 2018 research by Edison, people listen to podcasts in a variety of places. Which podcasts should you start with? These are the seven best eCommerce podcasts we think all shop owners should listen to. eCommerceFuel is a private community of successful eCommerce store owners. The average member does $2.6 million dollars in yearly revenue, so it’s not a community for new eCommerce entrepreneurs. The founder of eCommerceFuel, Andrew Youderian, one of our favorite Twitter influencers, is a seasoned eCommerce expert who’s sold millions of dollars worth of products across several stores. Youderian’s podcast is a bit more accessible than the private community, but he still tackles deep eCommerce topics that apply to medium and large retailers. In each episode, he interviews some of the best eCommerce minds in the business. They offer honest, actionable advice to help you grow your business. What’s great about this podcast is that they don’t just talk about sales. They also discuss operations, fulfillment, manufacturing, hiring, outsourcing, and any topic related to retail business. You’ll find something useful in every episode, regardless of the size of your business. In one popular episode, Youderian interviews Michael Dubin of Dollar Shave Club. They talk about subscription services, brand storytelling, and how to get the most out of social media and viral marketing. If for some reason you can’t listen to an episode, Youderian posts the entire transcript of most shows in the podcast section of his site. Ecommerce Pulse’s host, Leighton Taylor, is a Shopify web designer and eCommerce entrepreneur. He’s helped hundreds of retail stores, from single-owner businesses to venture-funded Silicon Valley startups. 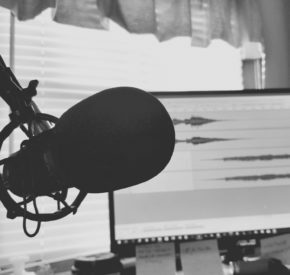 Like other podcasts, Ecommerce Pulse offers an eclectic mix of tips, strategies, and interviews with eCommerce experts. But Taylor also does something rather unique: He plays recorded coaching sessions with his clients. You can hear exactly what he tells his paying customers in the context of their unique circumstances. If you work for or run a large eCommerce business (doing $200,000/month+), check out Ecommerce Influence. Ecommerce Influence is designed for marketing executives who need advanced tips about customer acquisition, conversion optimization, and branding. Ecommerce Influence is hosted by Austin Brawner (an email marketing consultant and “Chief Fixer” at Brand Growth Experts) and Andrew Foxwell (a paid advertising specialist). They talk about their personal experience growing eCommerce stores and invite some pretty big guests to tell their stories, including some of our favorite Twitter influencers and hosts on this list. You don’t have to use Shopify to get a lot of value from this podcast. 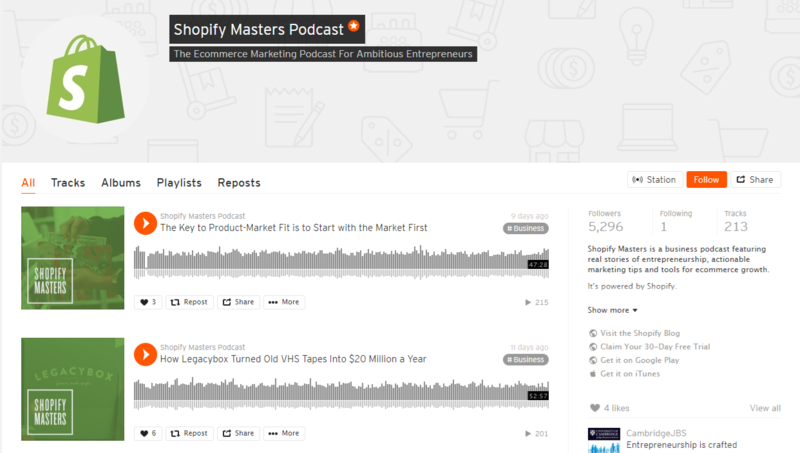 Shopify Masters is an eCommerce podcast that focuses on marketing. Their advice is straightforward, actionable, and applicable for businesses of most sizes (marketers for global retailers may find the content a bit academic). 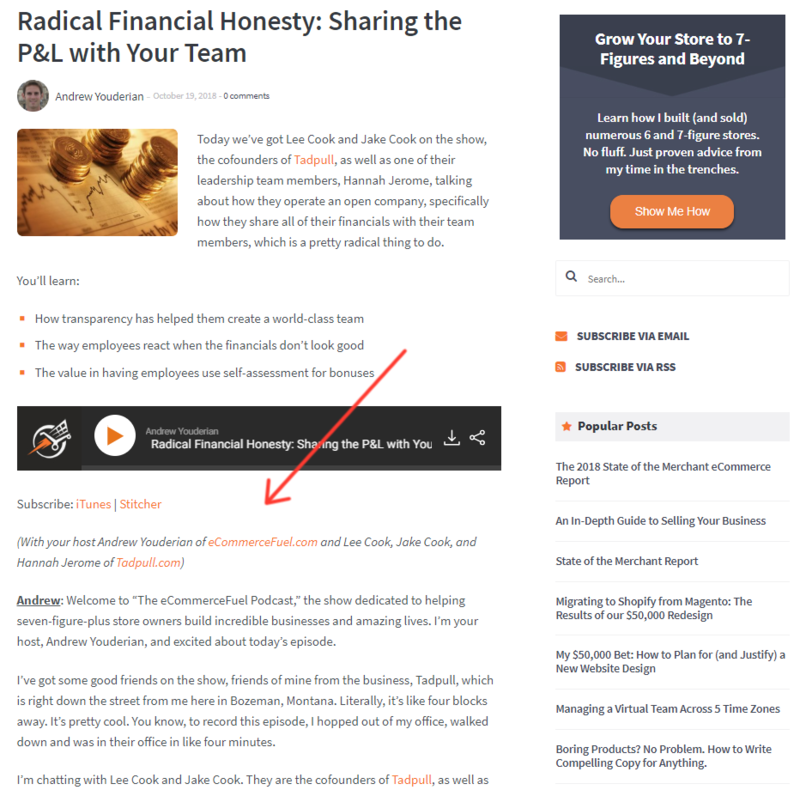 Each podcast is posted to its own page on the podcasts section of Shopify’s blog, which includes an introduction (so you can decide if the episode interests you), show notes, and the complete transcript. “Shopify Masters is a place where store owners share the ideas that worked for their particular business,” says host Felix Thea. “It’s not a place for one-size-fits-all theories.” They cover the stuff that actually works in the real world. If you like binging, this is a good podcast to choose—there are more than 200 episodes! eCommerce Minute is a daily podcast published Monday through Friday at 1 PM. Episodes are short, but they’re longer than a minute. Most last between four and eight minutes. Each episode breaks down something that has happened (or is happening) in eCommerce, tech, and retail news. They dive into each topic with incredible detail and supplement their reporting with expert opinions and some inside information. eCommerce Minute is hosted by Bart Mroz and Jon Suder, the co-founder/CEO and creative director of Sumo Heavy, a boutique digital consulting firm for eCommerce businesses. The Loose Threads podcast explores the changing consumer economy. Each episode features an in-depth conversation with an entrepreneur who is attempting to navigate the evolving consumer landscape and challenge the status quo. It’s also one of the most diverse podcasts on this list, featuring guests from a wide range of backgrounds and high percentage of female founders. New episodes drop every couple of weeks. 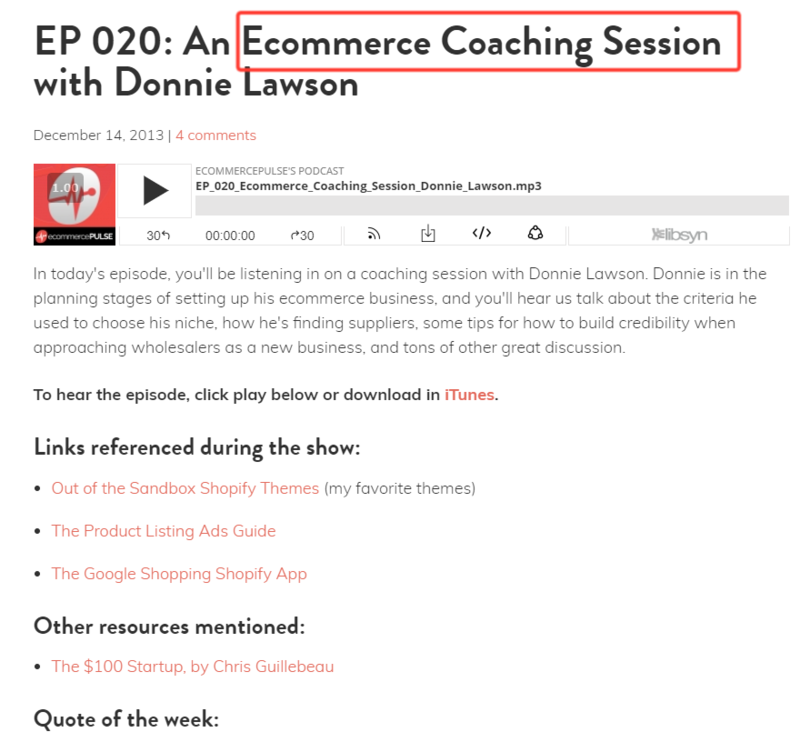 Ecommerce Conversations is a podcast by the editorial team at Practical Ecommerce. Their episodes are down-to-earth and easy-to-understand, just like their written content. The content team at Practical Ecommerce is an impressive roster of journalists, social media specialists, SEO managers, consultants, salesmen, finance professionals, and, of course, eCommerce experts. This means you get a broad spectrum of information whenever you listen to their episodes. Does USPS Subsidize China-based Sellers? Which eCommerce podcasts do you listen to? If you’re not into podcasts yet, we encourage you to give them a try. They’re fantastic ways to supercharge your learning while you do other things that don’t take a lot of brain power. Load up one or two of these podcasts the next time you take a drive or go for a run. It won’t take long before you become a regular listener! Do you listen to any eCommerce podcasts or are there other great gems that we’ve missed? Let us know in the comments which ones you find most valuable. Max is our co-founder and CEO at Jilt. He focuses on ensuring our app and integration plugins are top-notch while also working with merchants to get the most out of Jilt.